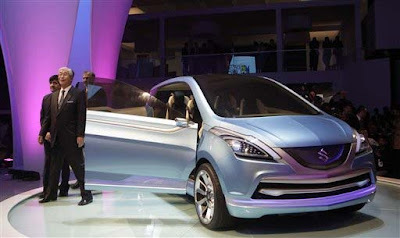 Maruti Suzuki, India's major auto maker, intending to launch its new concept multi purpose vehicle, Maruti RIII in India by the end of 2012. The new concept RIII might be ready for production introduce within the next few years. The company officially has confirmed that the new car is ready to be produced for the publicly in the auto market. But the company has not yet announced any details regarding the launch date, engine and chassis of this model in India. 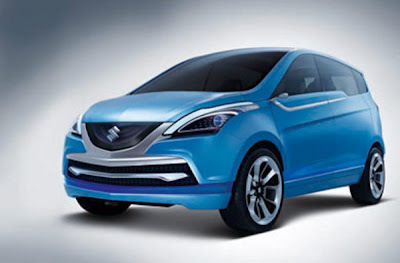 Maruti RIII is basically a seven seater MPV which will be produced at the platform of Maruti's only entry level sedan SX4. The Maruti RIII concept was showcased with flowing lines at the exteriors that start from the front of the vehicle and flow to the rear. Besides this, the concept has been decorated with the concealed rear tail lamps, a glass roof and a chrome grille. The MPV will be developed with an objective of optimizing the interior space without compromising on the elegance and compactness of the exterior. Maruti RIII was already shown at the 10th anniversary of Delhi Auto Expo 2010, where it attracted a lot of number of visitors and car enthusiasts. Maruti Suzuki is planning to exports this model to foreign market like East Europe and Latin America. Apart from that launch, Indian car lovers will see more launches in India that includes Nissan Micra, Tata Aria, Skoda Yeti and Volkswagen Vento.